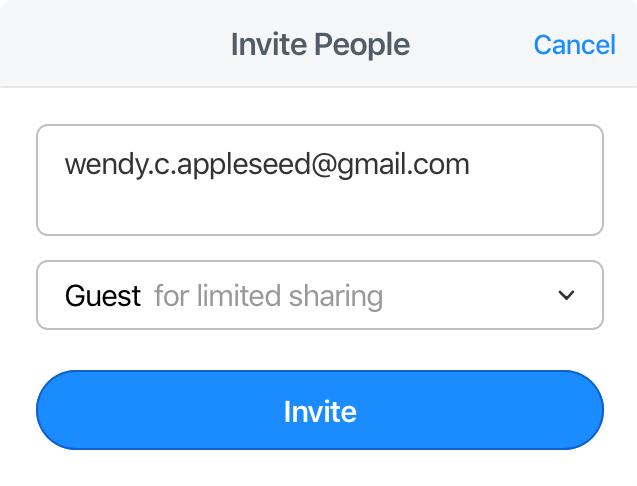 Learn how to invite someone as a guest if you want them to have limited access to your team’s data. Your client, who needs project-related passwords. Your virtual assistant, who needs your email and calendar information. Your accountant, who needs your financial information. If you’re a team owner or administrator, you can invite guests and share a vault with them. Sign in to your account on the 1Password website. Click Invitations in the sidebar. Click , then enter the email addresses of the guests you want to invite. Choose Guest from the menu, then click Invite. 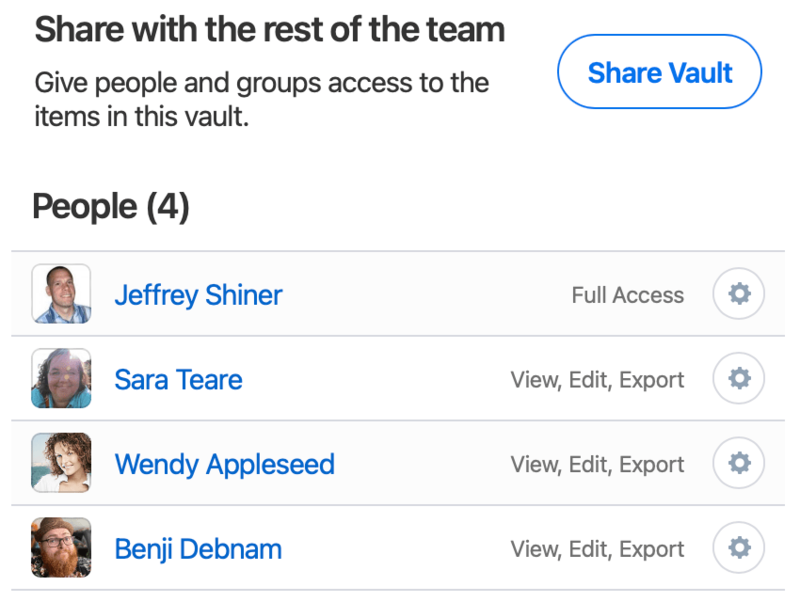 1Password Teams includes 5 guests. 1Password Business includes 20 guests. You can invite more guests for an additional cost. Learn more about 1Password pricing. Guests have to accept their invitation and be confirmed before you can share a vault with them. After you’ve confirmed a guest you can add them to a vault as usual. A guest can only be invited to a single vault at a time, but you can remove them from one vault, then add them to a different one. Click People in the sidebar, then click the name of the guest to remove. Click More Actions, then click Delete User and follow the onscreen instructions. It’s possible your guest may have copied the items in the vault before you removed them from it. If this is a concern for you, be sure to change all the passwords they had access to in the vault. Although you can’t directly promote a guest to a team member, you can delete their guest account and invite them as a team member.